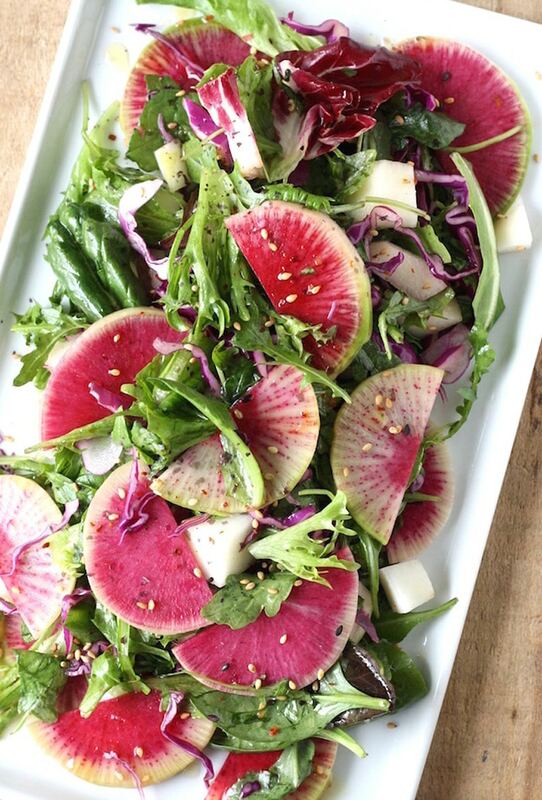 In a large salad bowl, combine the spring mix salad, arugula, spinach, red cabbage, pear, watermelon radish, and Japanese sesame seasoning. Then pour in the dressing and toss well to combine. Let stand for 10 minutes. Taste and make any adjustments if needed. When ready to serve, sprinkle a little more Japanese sesame seasoning on top.